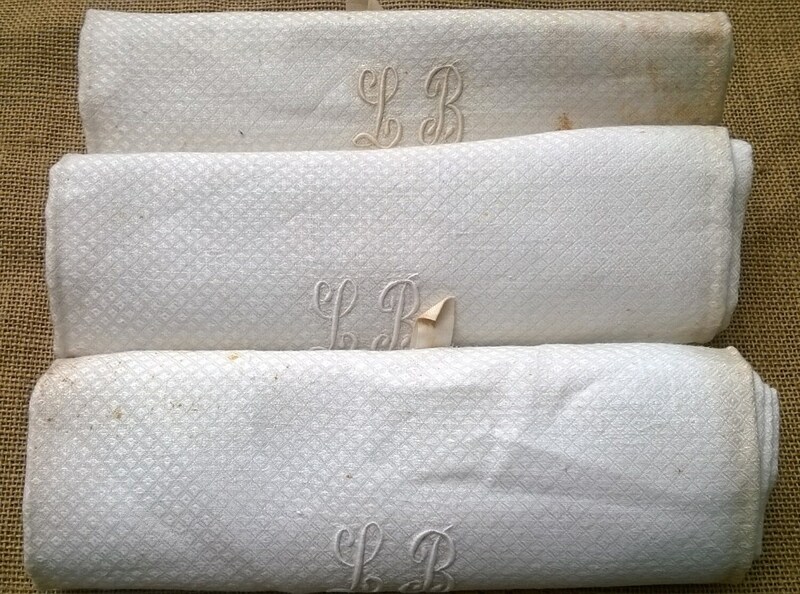 Set of 3 gorgeous 19th century white silk checked Damask kitchen towels monogrammed. 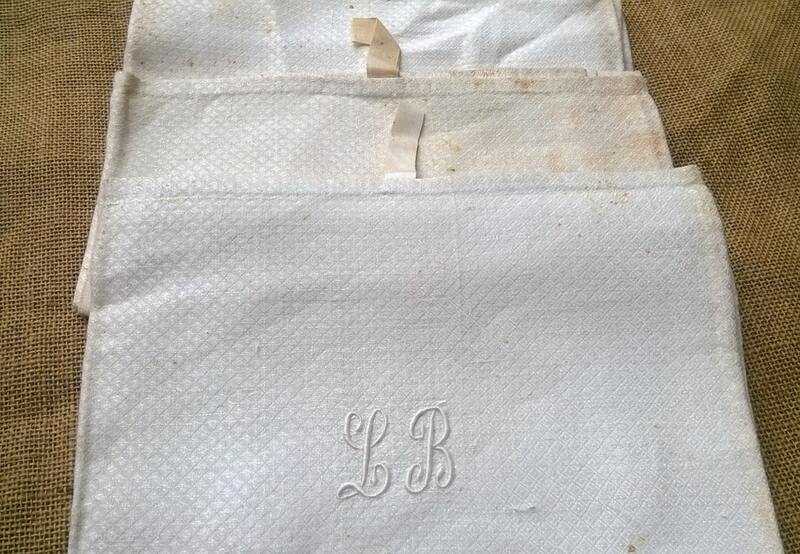 French silk and linen towels with attache. 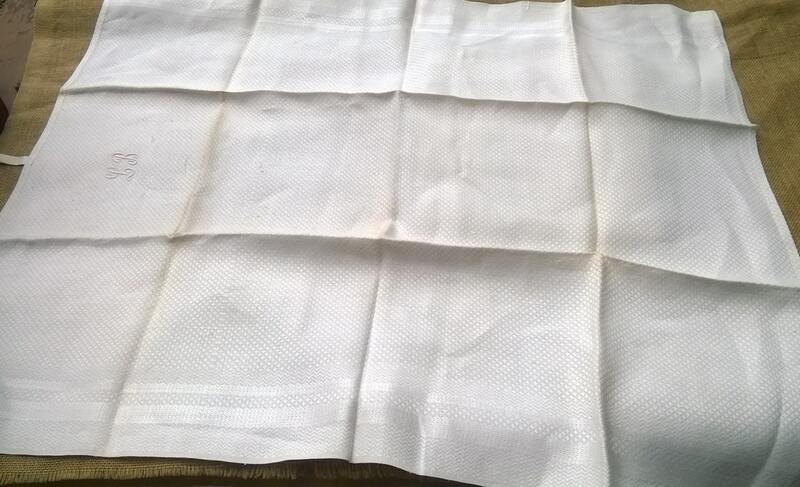 Original condition unused and unwashed linen. 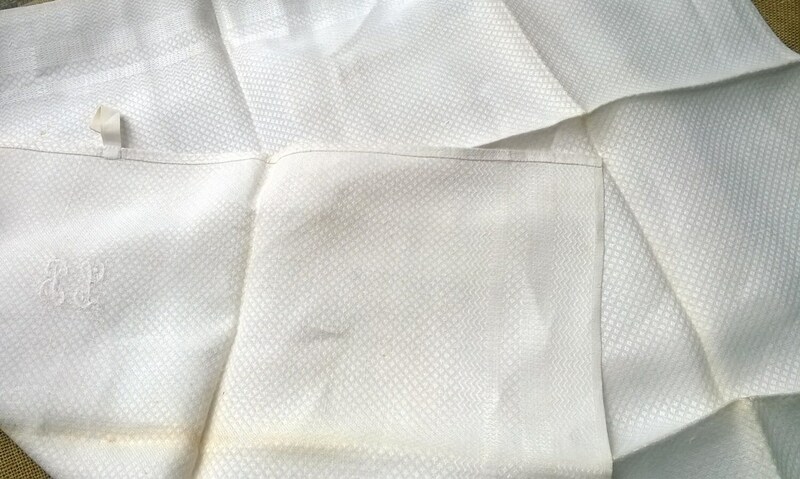 Fabric in a good vintage condition with starch spots need to be hot washed. 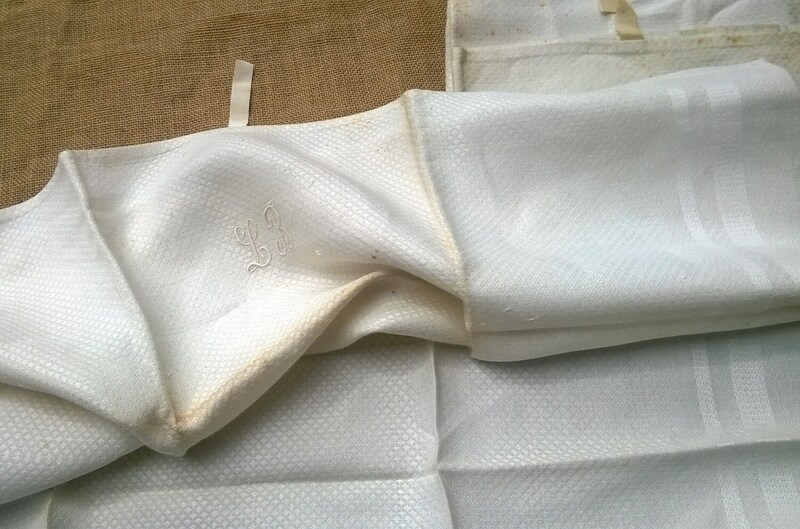 RARE and gorgeous Antique French kitchen towels !